Dedicated, caring and selfless, Timothy Deaner’s world revolved around his loved ones. He was the definition of a hard working family man, but knew how to balance it with a good amount of fun, a true jokester. While his days with us were far too few, the lasting gifts of his life will long live in the hearts of all who were blessed to know him. On October 15, 1961 Kurt and Nancy Deaner welcomed their son, Timothy Alan Deaner. Timothy’s childhood was filled with mischief and laughs while tearing up the farm in dune buggies with his cousins. On July 10, 1983 Timothy married the love of his life, and best friend, Kristine. Together they welcomed their children Matthew and Stephanie. Timothy excelled in fatherhood and was his children’s biggest fan. He never missed an opportunity to teach them life lessons and the value of hard work. Timothy was a true motorcycle enthusiast, not a “biker.” He loved riding and was so excited to be able to take his bride out on his new trike. Timothy was a natural people person. He never met a stranger and always put others ahead of himself. The brightest twinkle in his eye however was his grandson Bentley. No one brought him more joy and laughter and he reveled in being his “vroom vroom grandpa”. 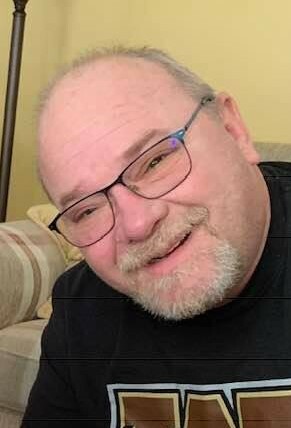 Timothy passed away Wednesday March 27, 2019, at the age of 57, at Bronson Methodist Hospital Kalamazoo surrounded by his family and friends. Timothy is survived by his wife, Kristine (Smith) Deaner and parents Kurt P. Deaner and Nancy L. (Comstock) Deaner. He is also survived by his son, Matthew (Lydia) Deaner; daughter, Stephanie Deaner; sister, Karen Deaner; grandson, Bentley Deaner; two nephews, Dustin (Kristin) Gilmore and Andrew (Erica) Gilmore; mother in law, Anne Mayer and brother in law, Steven Smith. Cremation has taken place. Services will be announced at a later time. Memorial contributions may be made to the American Diabetes or Kidney Fund.